Theresa Romero, Michael Floyd’s mother, commenting on the banner of the Cretin-Derham Hall grad and Notre Dame star wide receiver inside Gate B at Notre Dame Stadium. 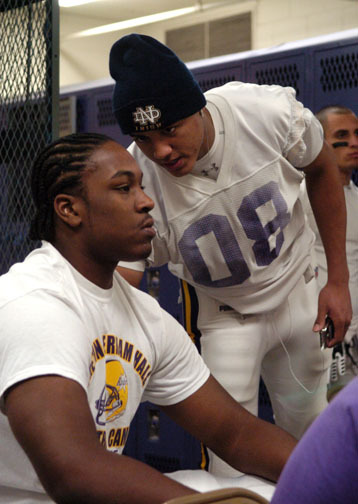 Notre Dame star wide receiver Michael Floyd will host his former teammate at Cretin-Derham Hall Seantrel Henderson when ‘Trel makes his official visit to South Bend this weekend. 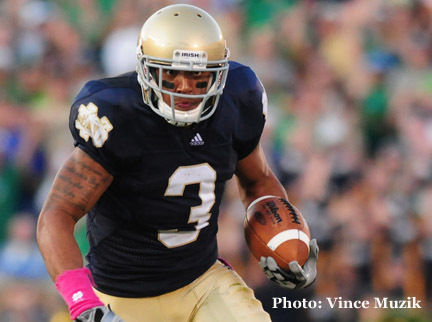 Floyd was tearing up college football with five TDs on only 13 catches and a 27 yard per catch average before breaking his collar bone against Michigan State Sept. 19. ‘Trel is still regarded as the top recruit in the country, a sure-fire plug and play left tackle. Just to prove a wide receiver will really talk to a lineman, here’s picture proof! Just in case I never get my money out my autographed Michael Vick rookie card, I have a back up plan. If St. Paul’s Michael Floyd continues to dominate college competition like he has, I believe he’ll be a Heisman finalist some day. When that happens, I’m going to auction his high school graduation party invite on Ebay. 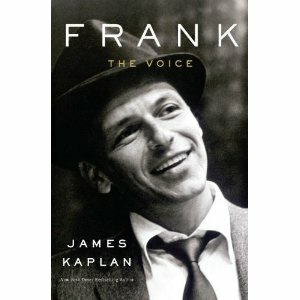 (And, yes, I’ve already told Michael’s parents I’m going to do this so don’t bug me about it.) There must be some obsessive Notre Dame fan who would pay a small fortune for it. Aside from his family, you had to be a really cool person to get invited to his party. This is a rare item indeed!